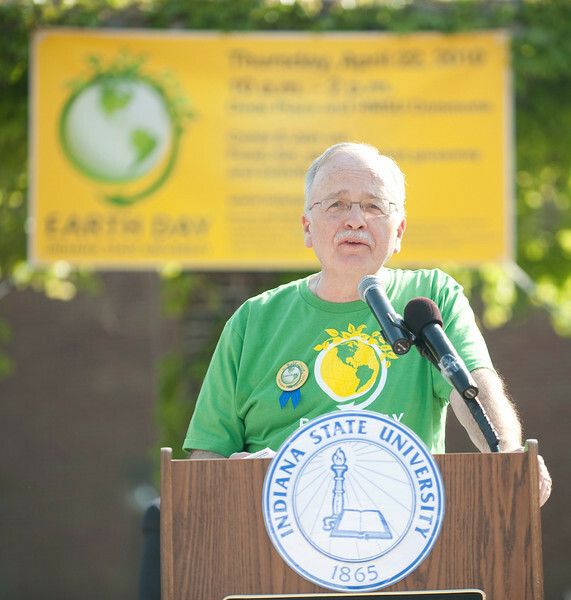 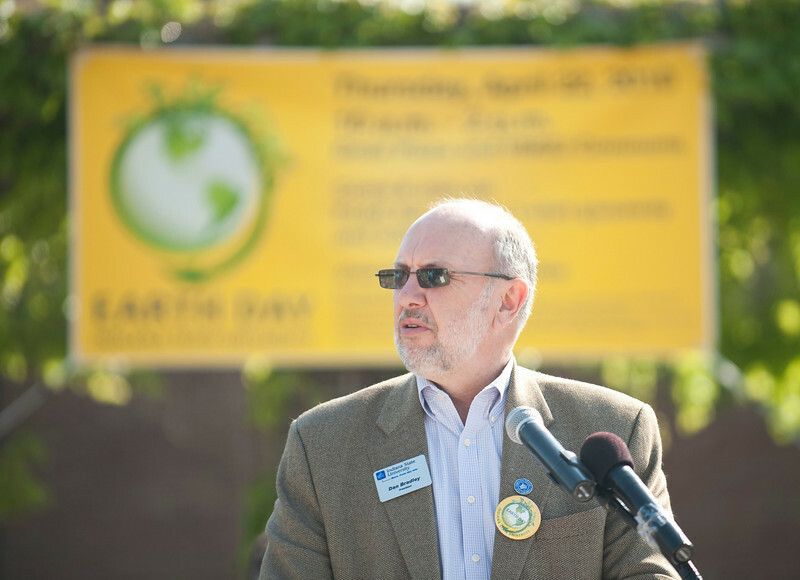 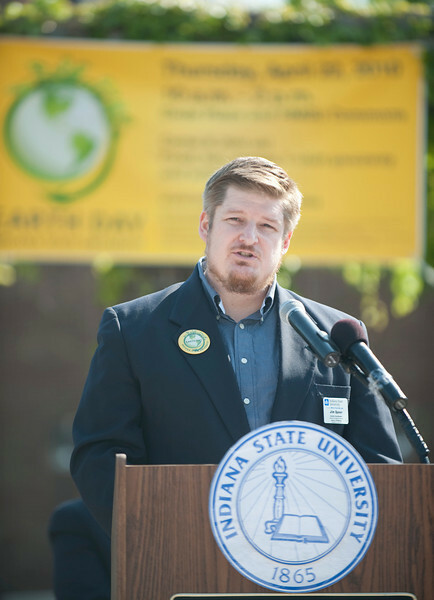 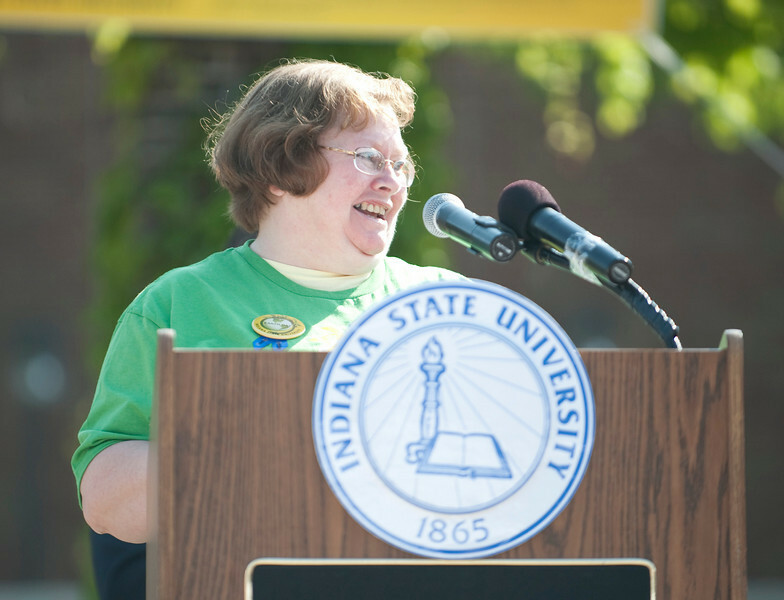 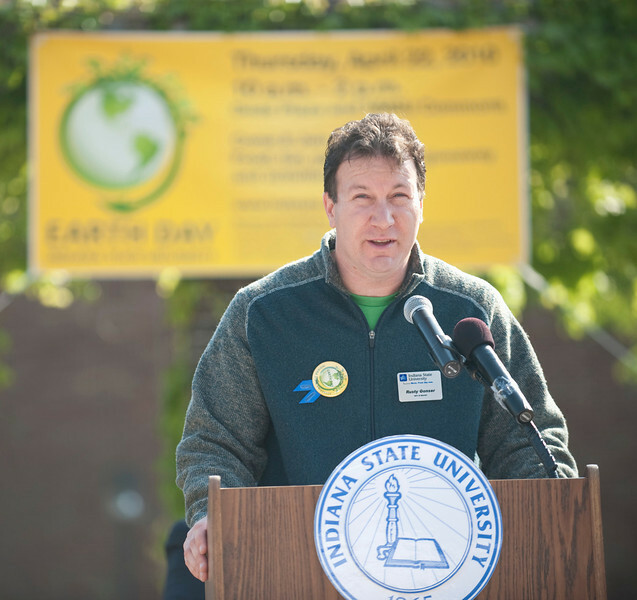 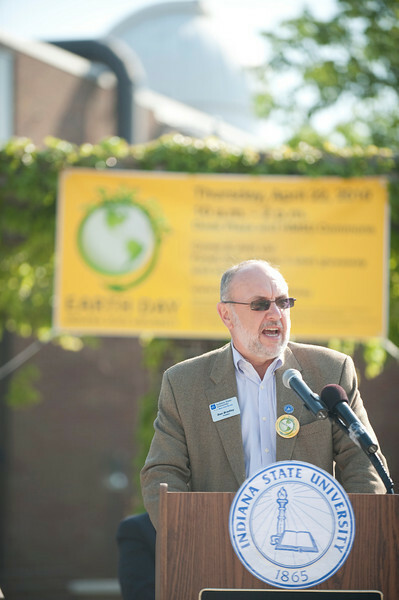 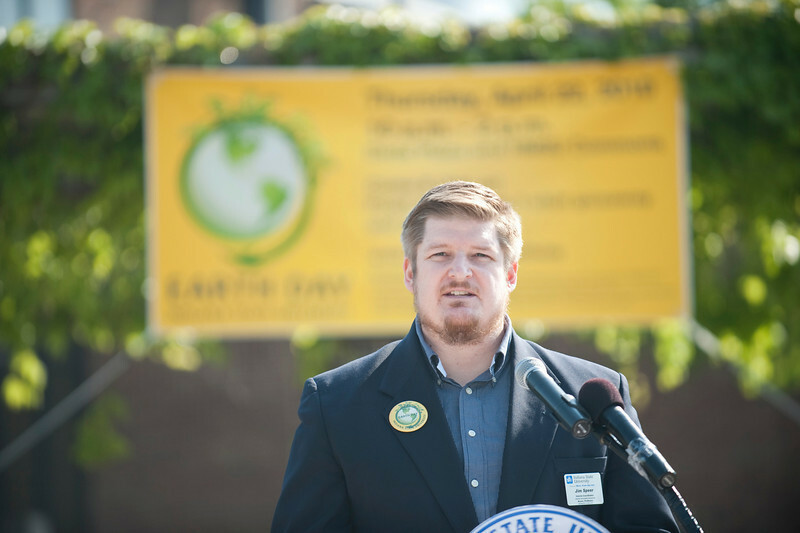 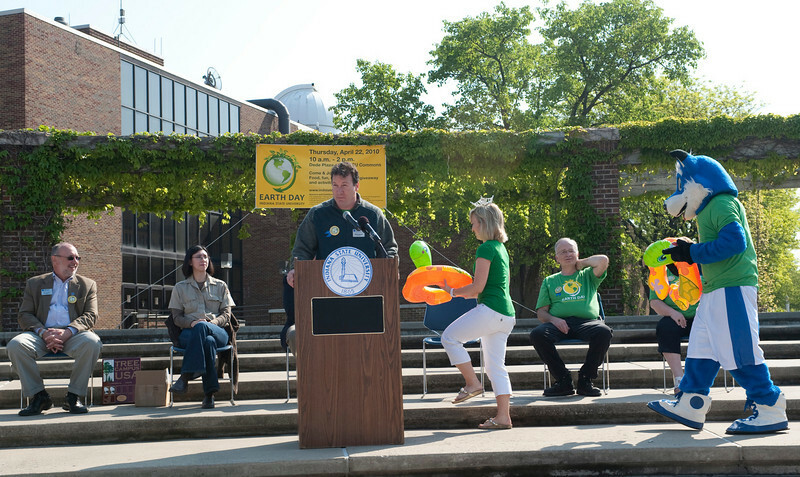 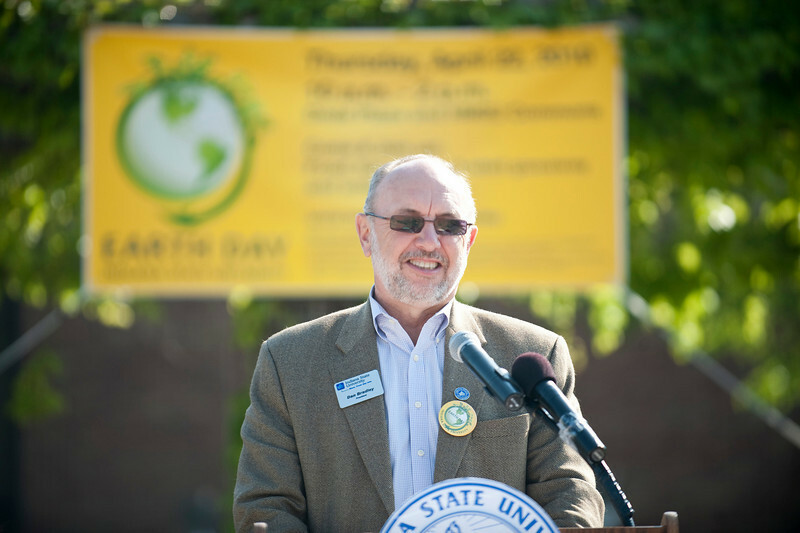 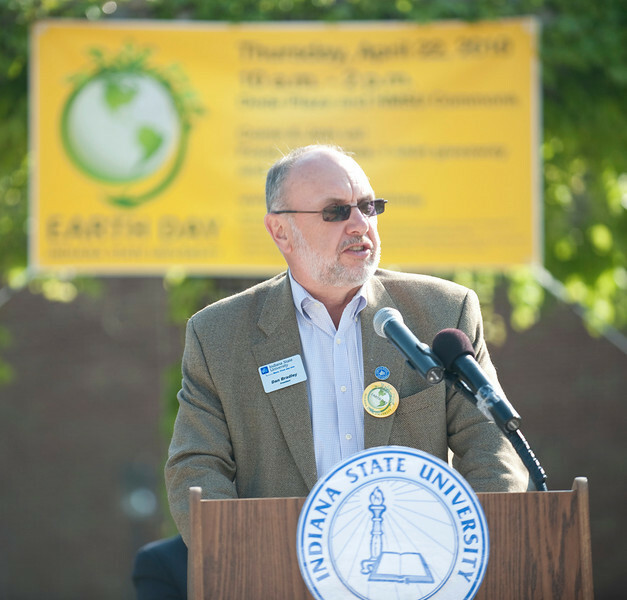 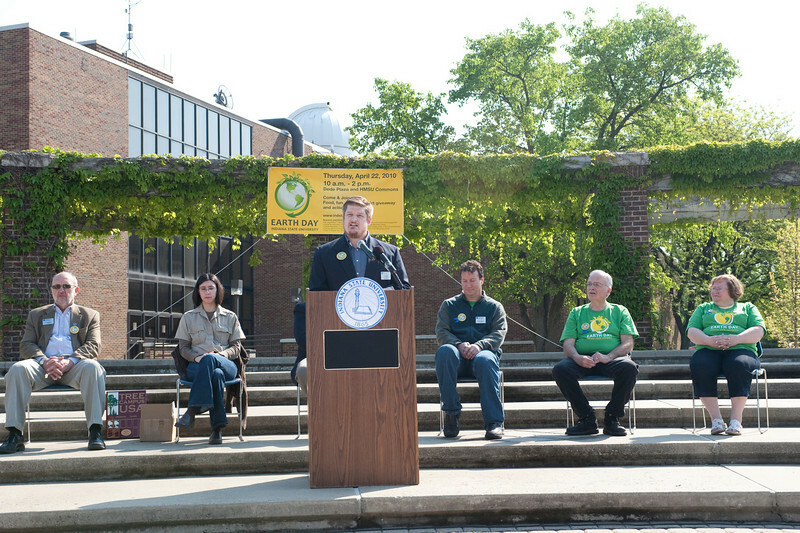 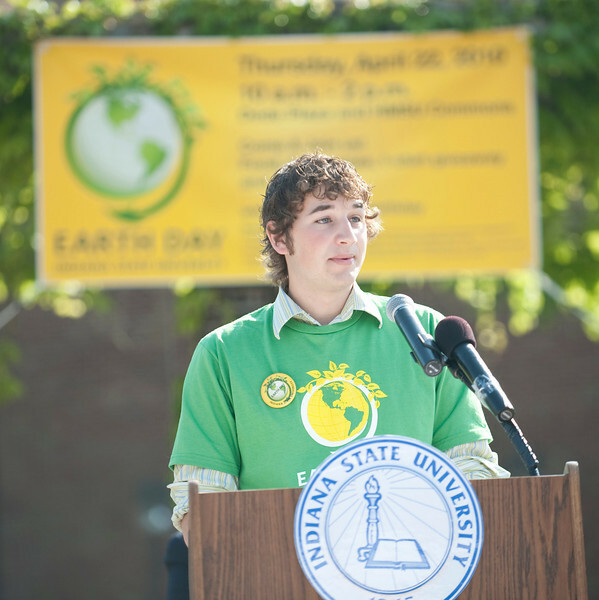 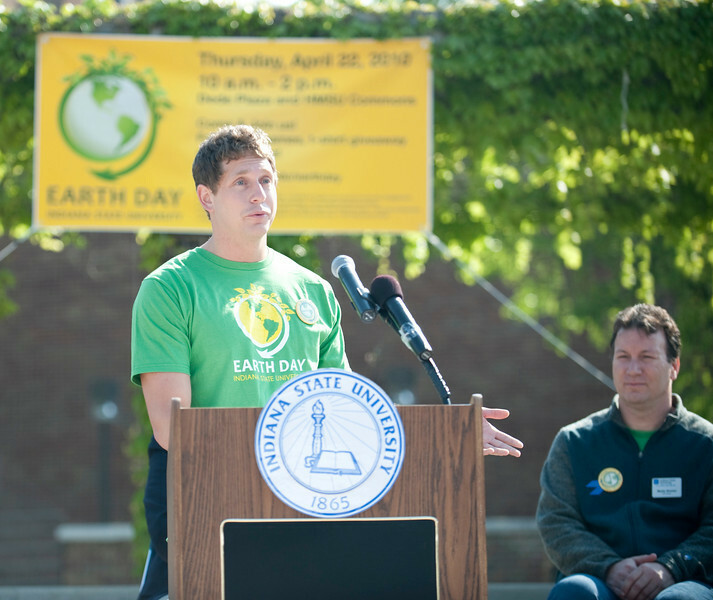 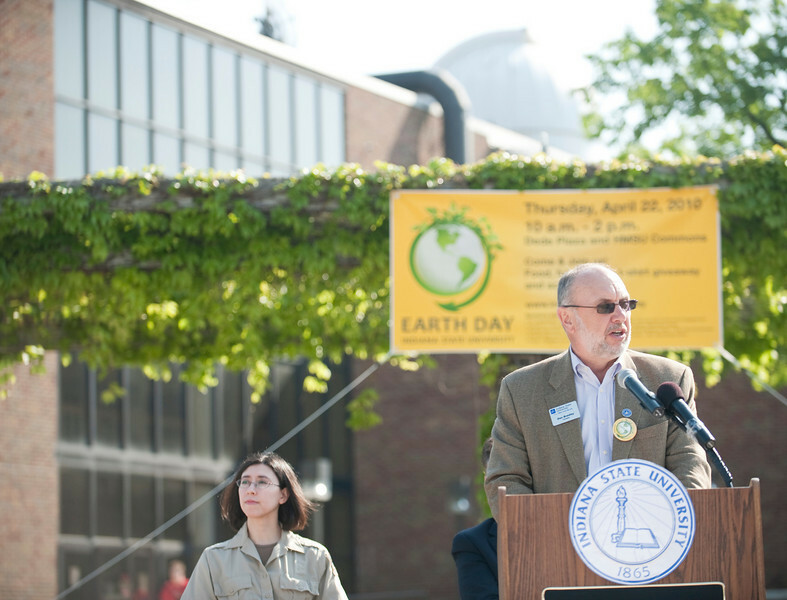 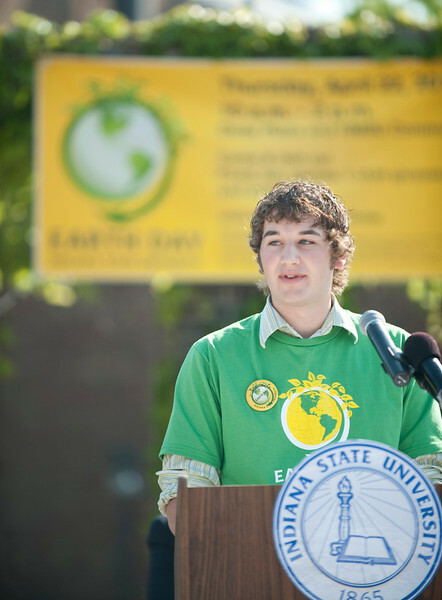 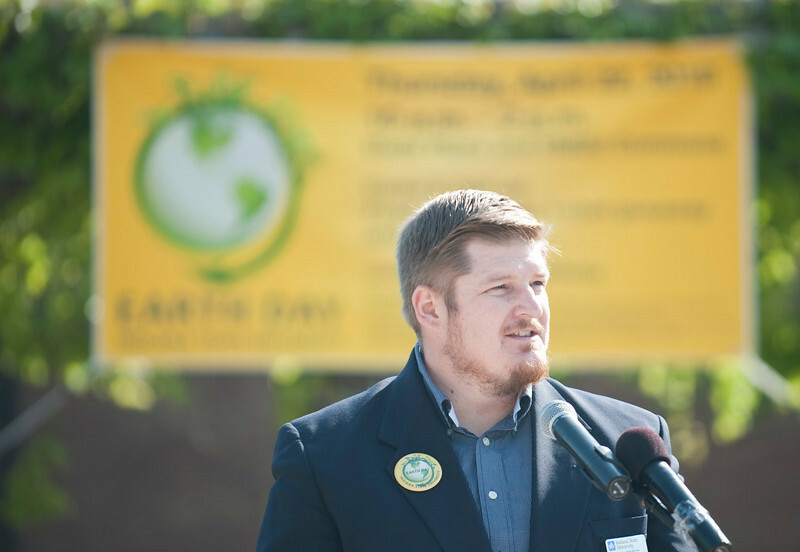 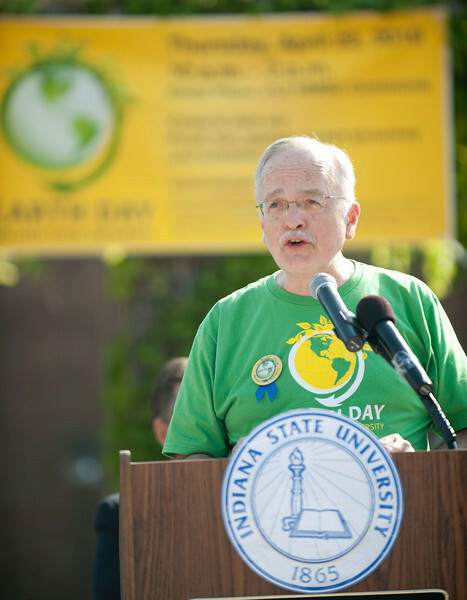 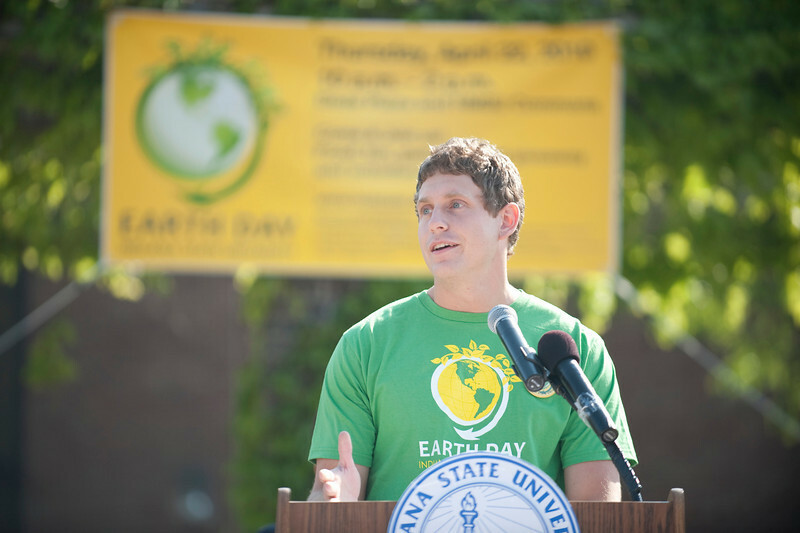 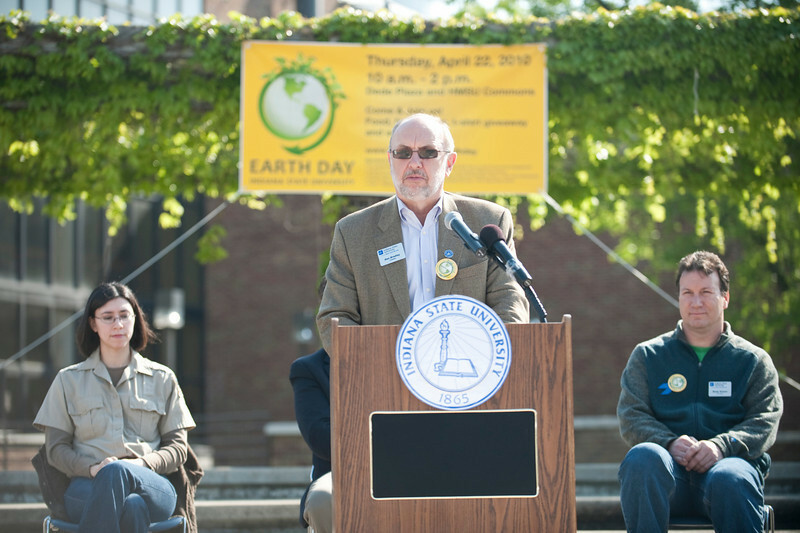 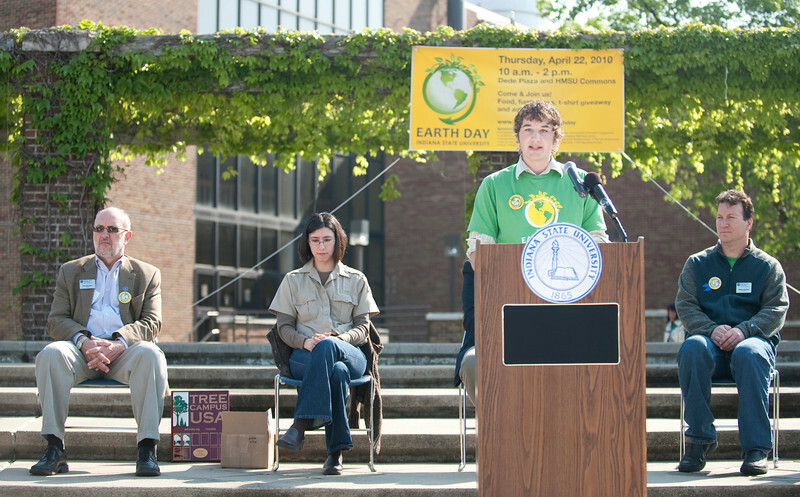 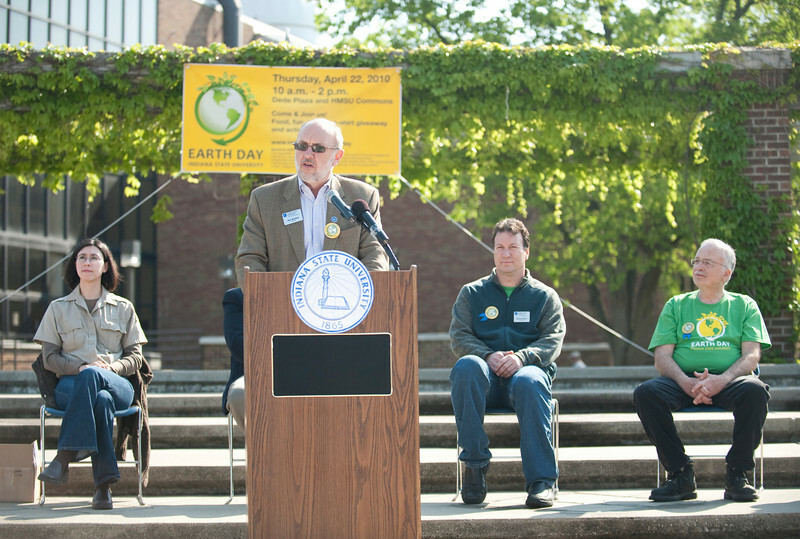 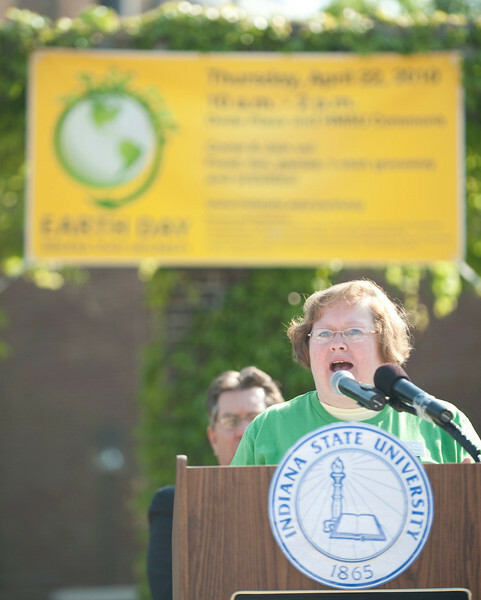 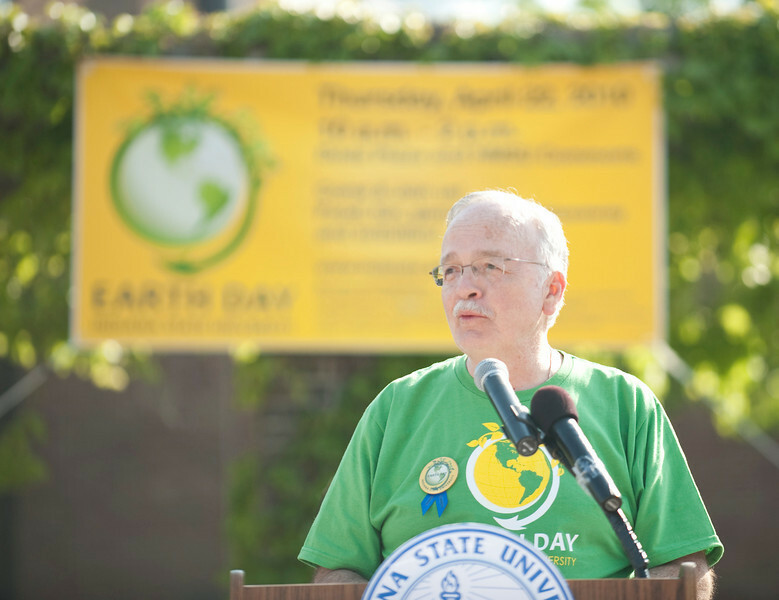 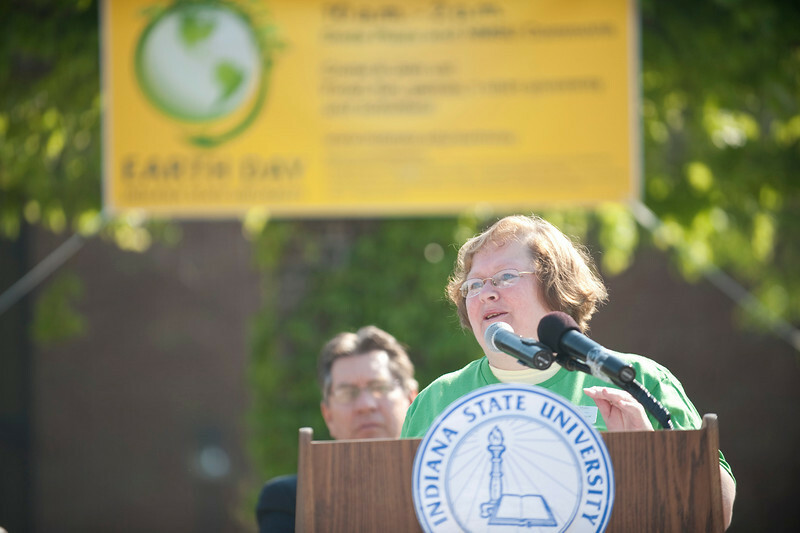 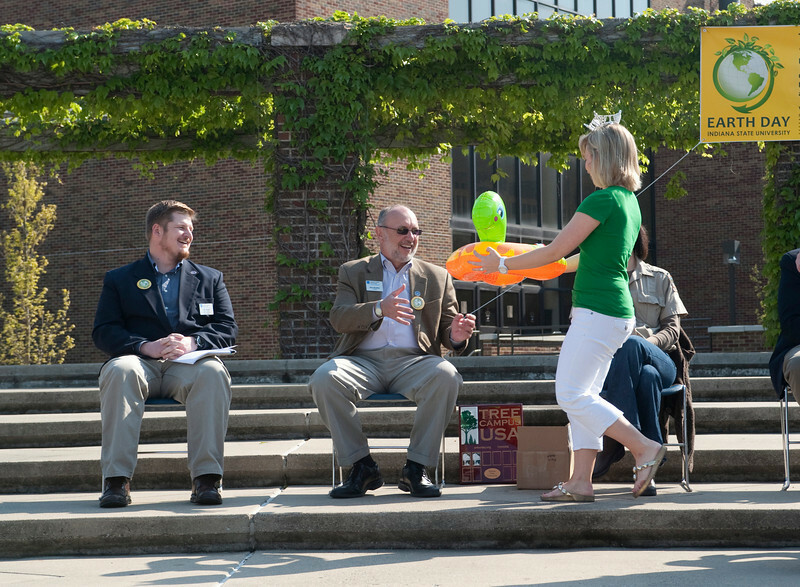 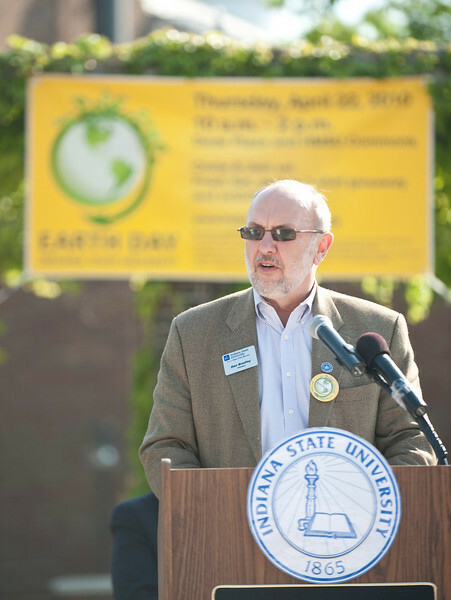 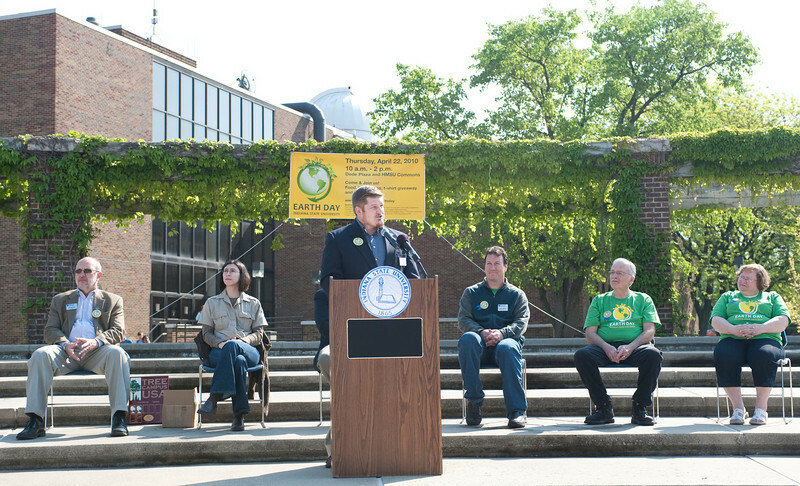 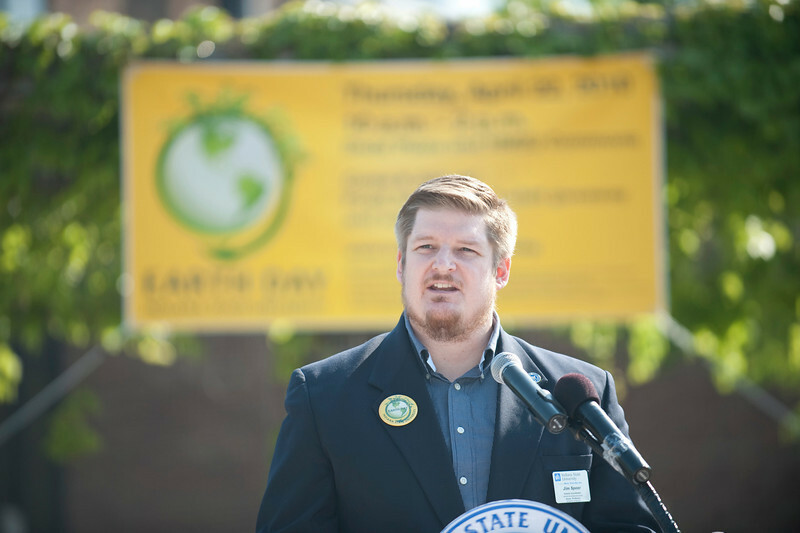 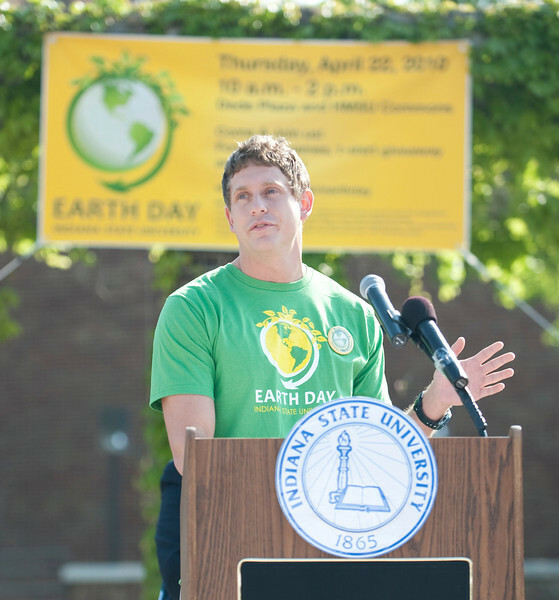 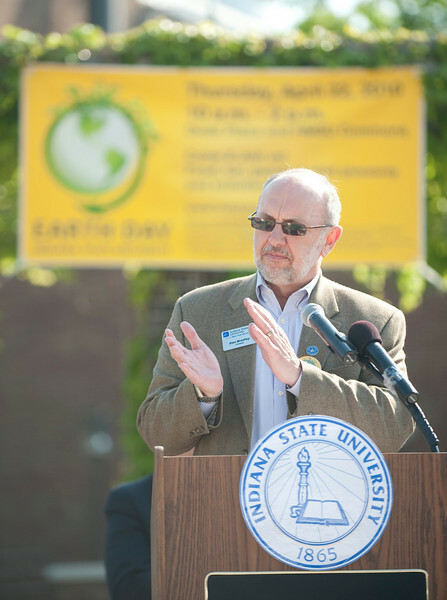 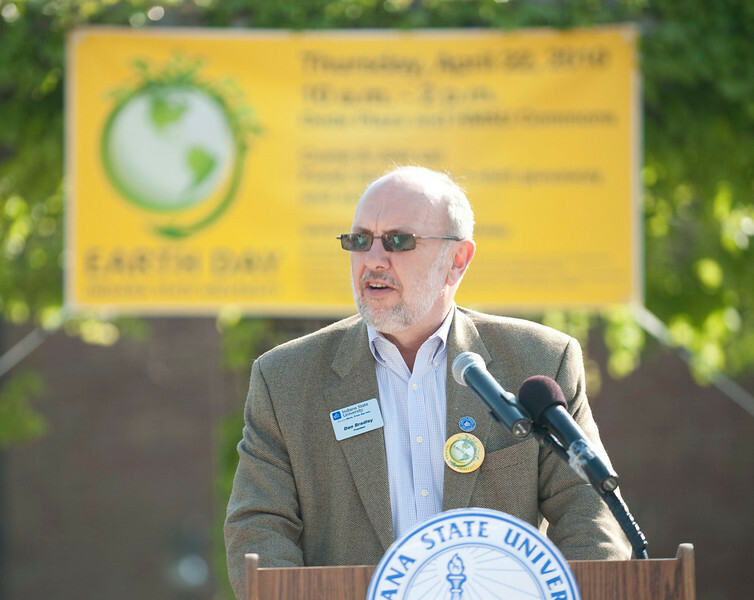 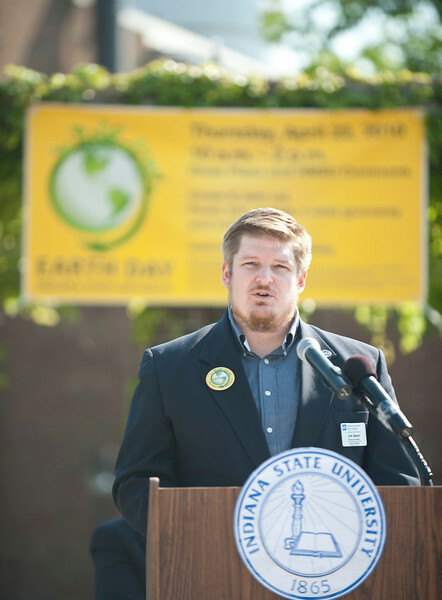 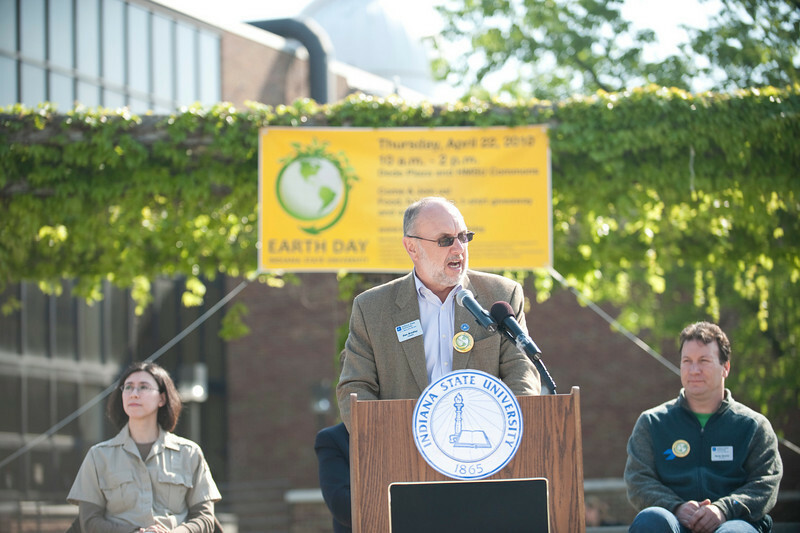 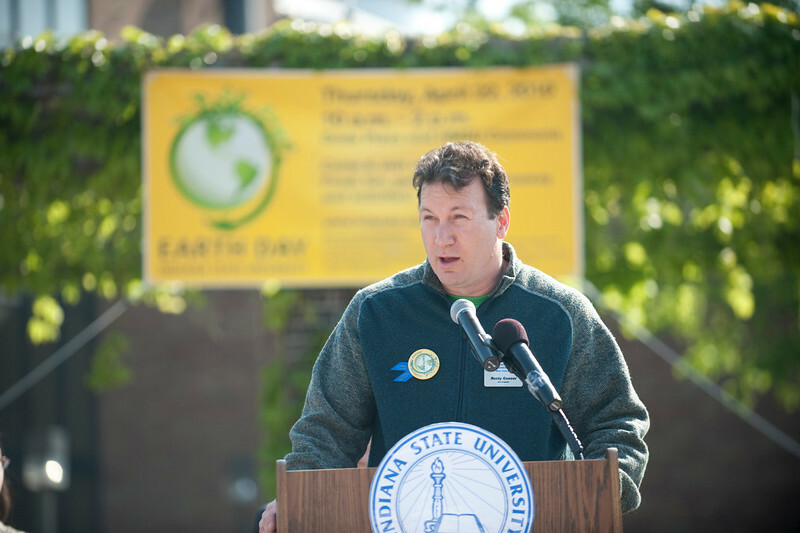 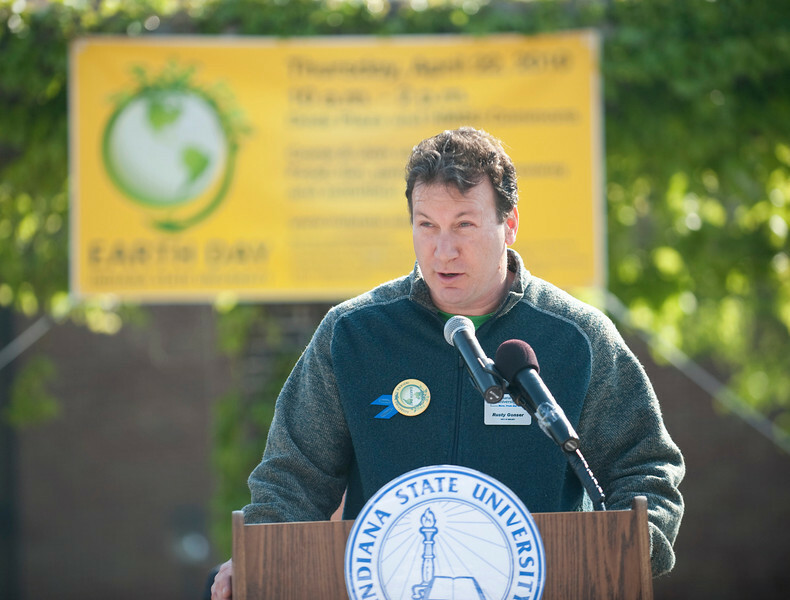 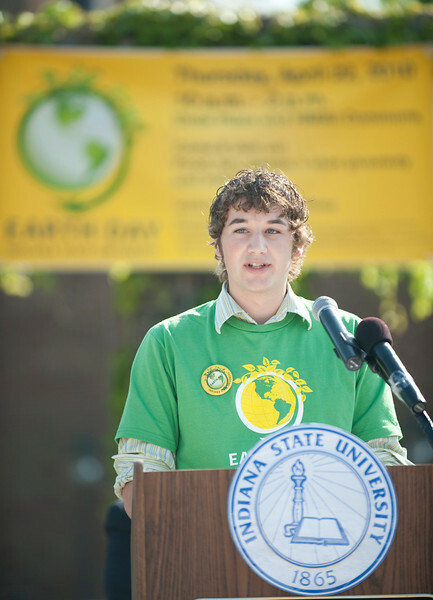 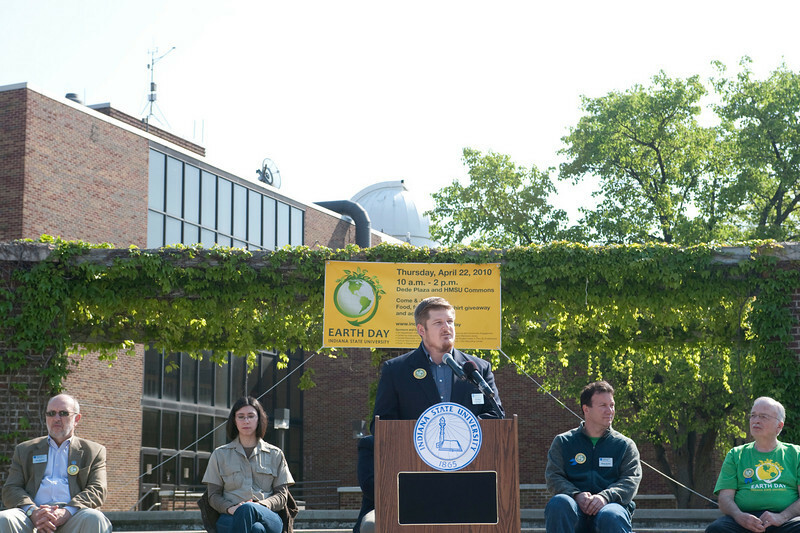 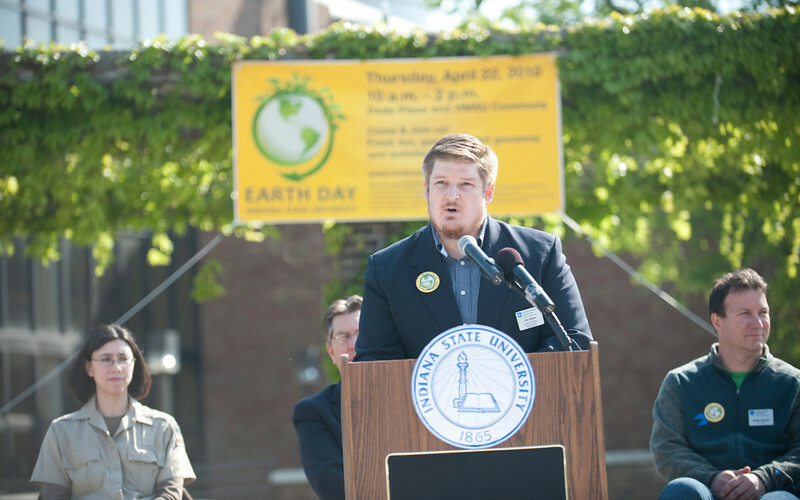 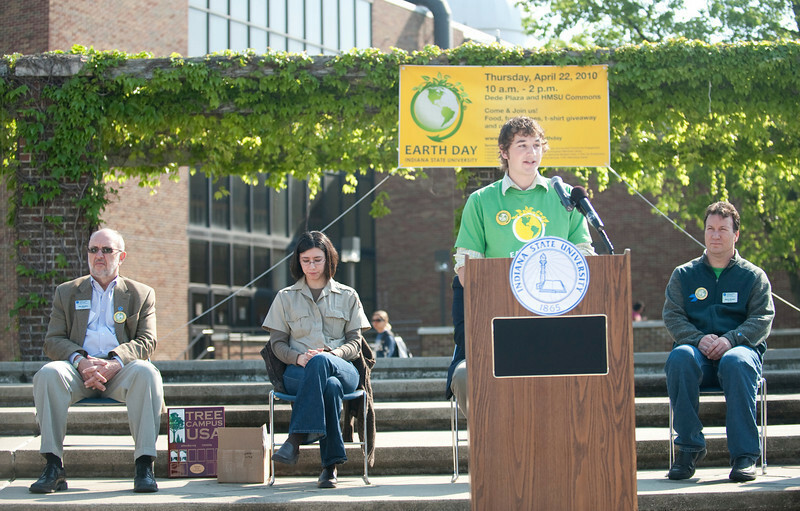 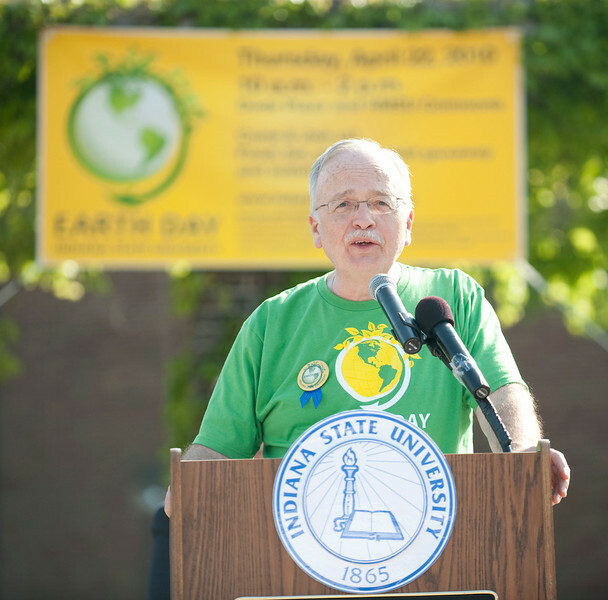 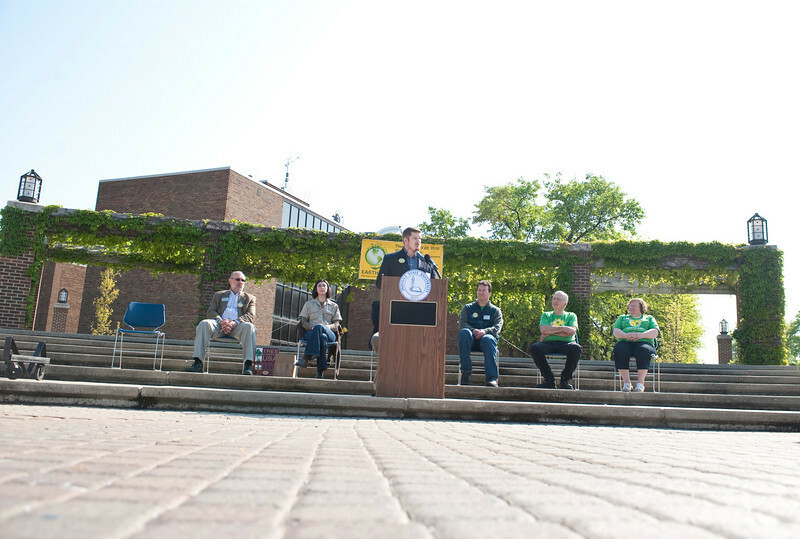 Indiana State University marked the 40th anniversary of Earth Day on Thursday, April 22 with activities that encourage students and the community to embrace sustainability, recycling and energy saving. 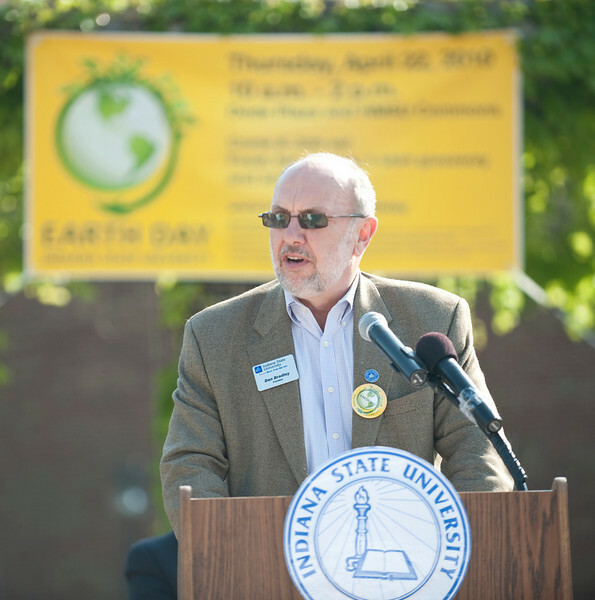 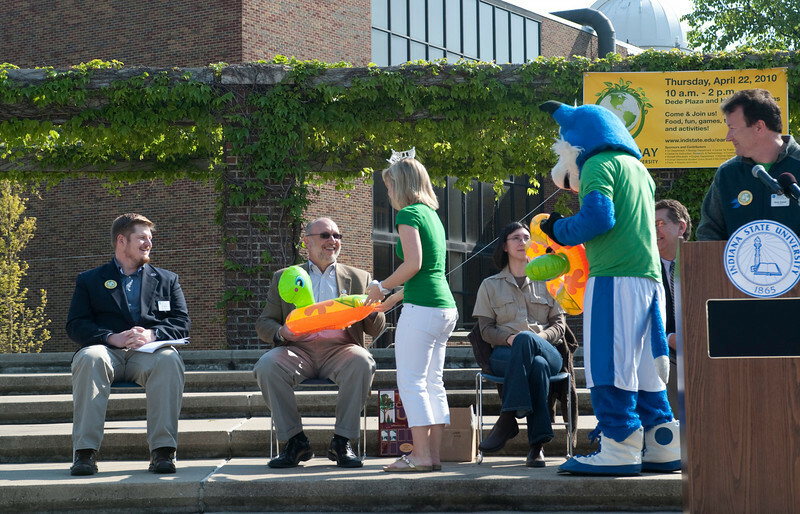 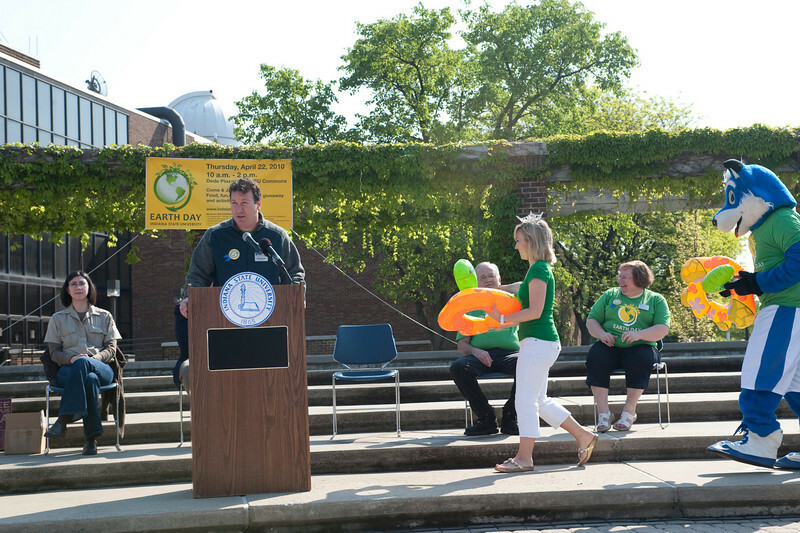 The celebration kicked off at 10 a.m. with ISU President Dan Bradley and Terre Haute Mayor Duke Bennett turning on the fountain and talking about sustainability. 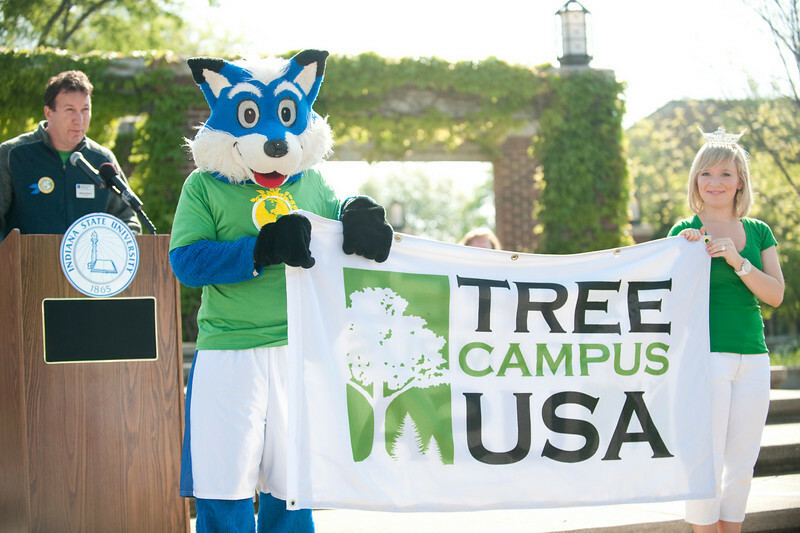 Indiana State was presented its second Tree Campus USA award. 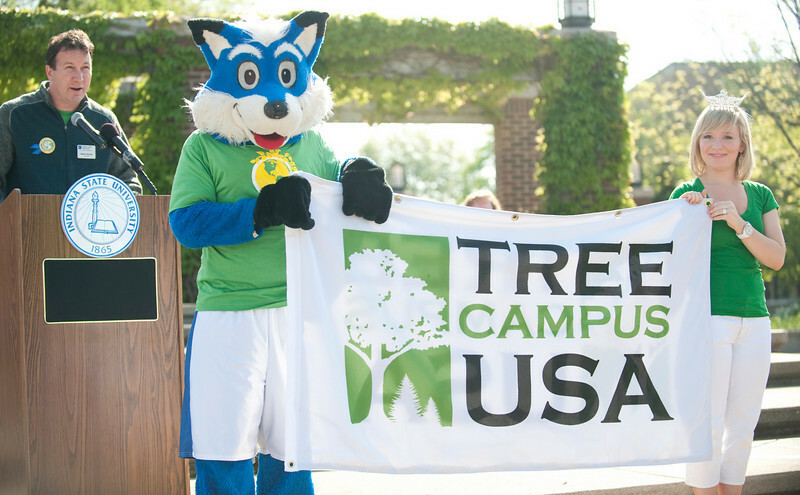 Academic classes and community partners provided informational booths and games, while American Humanics sponsored a clothing drive for Goodwill. 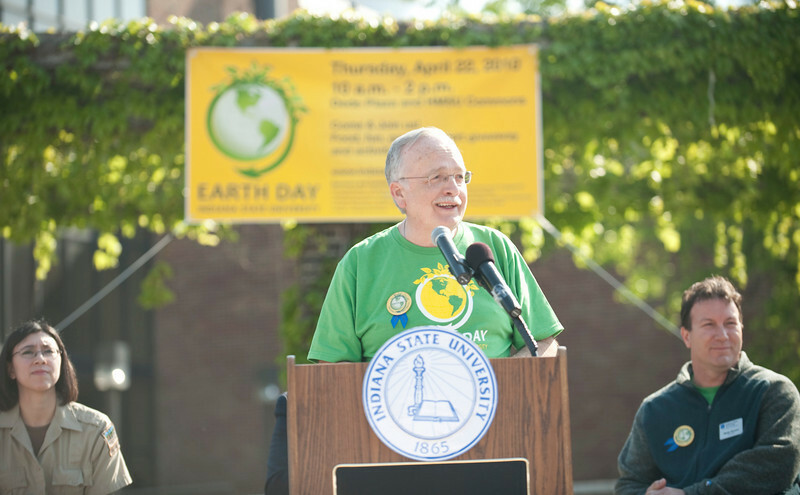 Other festivities included the selling of seedlings, a collection of sustainability themed art, a poetry slam and a showing of "11th Hour".